Just for fun: What was our world like a thousand years ago? Of course, technologically very different, but Song China and Muslim Spain had made real advances in science, technology and infrastructure. If CNN had existed then, what major events would they have listed and passed around by carrier pigeon? Some of the themes salient then are still recognizable today. 1. Among the more advanced societies in 1013 was the Umayyad caliphate of Spain, with its capital at al-Zahra near Cordoba. In that year, the renowned physician Abu al-Qasim al-Zahrawi, the father of operative surgery, died near Cordoba in the new artificial city of al-Zahra. His medical textbook, al-Tasrif, was translated into Latin and used for 500 years in Europe. He discusses 200 surgical instruments, some of which he invented. 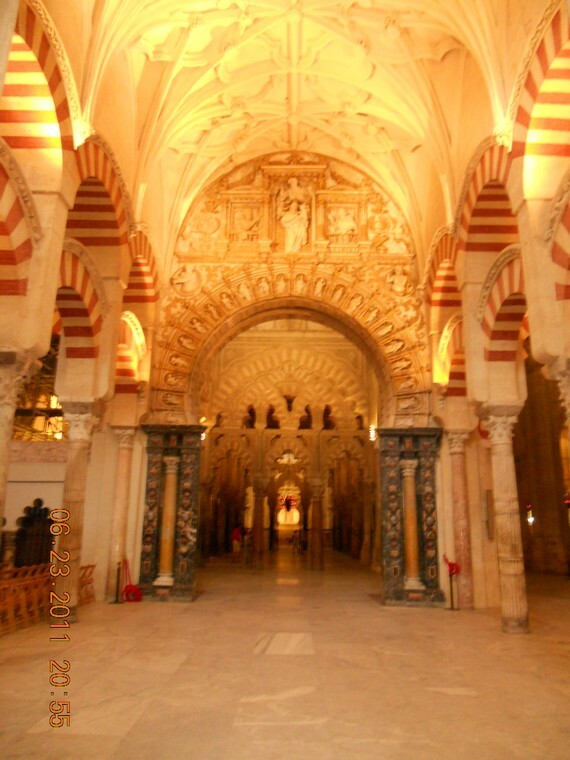 Cordoba at the time had 3000 mosques, 300 public baths, 70 libraries, and a population estimated between 400,000 and a million. It was the largest city in the world and among the more advanced. 1013 however marked the beginning of its decline. A rival Umayyad claimant attacked it in 1010-1013, and his Berber troops looted it and nearby al-Zahra. Many prominent and wealthy citizens had to flee, including some members of the Jewish community. The Umayyads also built a nearby sister city, al-Zahra, in the 900s, which was also a marvel, but in 1013 and again after the Umayyad caliphate ended in 1031 al-Zahra was attacked, looted, and sank beneath the sands, becoming mere legend. Spanish archeologists rediscovered it in 1908 or so and have excavated 10% of it. 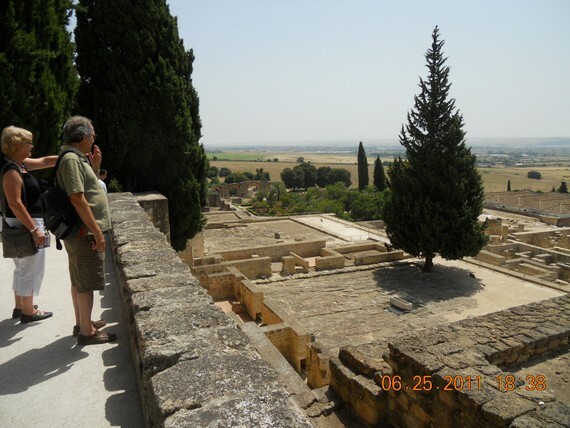 It is a day trip from Cordoba and has an excellent museum, and is well worth the trip. 2. The Song period in China was in many ways a harbinger of our own modernity, witnessing significant urbanization and industrialization. Some observers suggest that its capital, later known as Kaifeng, surpassed Cordoba in size in 1013, though that is only true if we take the lower estimates for the latter city’s size at that time. In any case, in 1013, as in 2013, China was poised to become the world’s leading economy. 3. 1013 AD in the Middle East was the apogee of Shiite power. 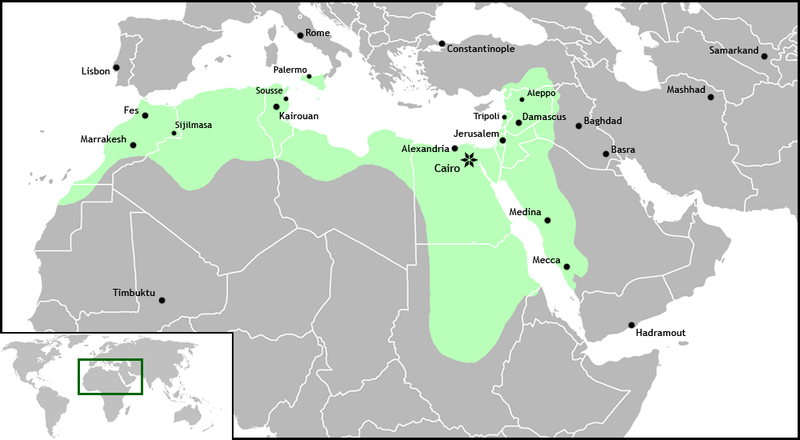 The Ismaili Shiite dynasty, the Fatimids, ruled North Africa, Egypt, and much of the Levant. The Shiites of Lebanon, the Alawites of Syria, the Druze of both countries, and some of the strength of Zaydi Shiite Islam in Yemen today all have their historical origins in part in Fatimid Shiite dominance. The Fatimids belonged to the Ismaili branch of Shiism. Shiite Muslims believe that after the Prophet Muhammad’s death in 632, power should have been put in the hands of the closest thing he had to a living son, his son-in-law and first cousin, Ali b. Abi Talib. After Ali, it should have gone to the descendants of Muhammad through Ali and Fatimah (the Prophet’s daughter). The schism came with the succession to the sixth such successor to the Prophet, or Imam, Imam Ja`far al-Sadiq. The Ismailis follow his eldest son Isamil and his descendants. In the 800s and 900s, Ismaili proselytizers had success among North African Berber tribes, who formed the backbone of the armies that took Tunisia, Egypt and much of the Middle East. The Fatimids founded Cairo under the astrological sign of Mars, to indicate success in War, in 969. The al-Azhar seminary, which the new Egyptian constitution has just made an arbiter of Islamically-derived laws in Egypt, was founded as an Ismaili university in 970-972. Some scholars have argued that the al-Azhar became influential on the European idea of the university. In 1017, the Fatimids completed the building of the al-Hakim Mosque, which is still a tourist attraction in Cairo. Fatimid-era Shiite movements survived the later revival of Sunnism in the Levant, which is what makes Lebanon and Syria so religiously complex today. But in Egypt and North Africa, the later Sunni revival made these areas religiously monochrome. I argued Tuesday that in contrast to 1013, in 2013 we are seeing a revival of Sunni Muslim religious parties and power. 4. Iran and Iraq were dominated by the Iranian Shiite Buyid dynasty, though most subjects were Sunni Muslims and the Buyids kept the Sunni Abbasid caliph, the sort of pope of the Sunnis, in office even as they deprived him of most temporal power. The Buyids may have originally been Zaydis from Mazandaran in Iran (as are many tribes of northern Yemen today), but they converted to Twelver Shiism over time. Twelver Shiites followed the younger son of Imam Ja`far al-Sadiq, Musa al-Kazim, whose shrine is in north Baghdad and lends its name to the neighborhood of Kazimiya. They believe the line ended with the Twelfth Imam. The Twelfth Imam is hidden and will one day reappear, sort of like the return of Christ, as the conquering Mahdi or promised one. Gradually, the Shiite clergy were given some of the prerogatives originally belonging to the Imams, but in 1017 there still wasn’t much in the way of a professional Shiite clergy. The situation in 1013 in Iraq, with a Shiite dynasty ruling, is similar to that in 2013, though of course Iraq is now a republic with a Shiite majority. The discontents of Sunni Iraqis under Shiite rule, however, have some resemblances (and although they are not now ruled by Iran, many assert that they may as well be!). Historian Richard Bulliet has argued that cotton cash-cropping, made possible by the medieval warming period (900-1250) underpinned the economic efflorescence of Iran in that era. Today, Iraq and Iran depend heavily on petroleum exports rather than agricultural goods (cotton instead is a staple of the Egyptian economy today). 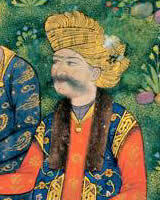 Mahmoud of Ghazni, the great Turkic Muslim conqueror from Central Asia, in 1013 took Kabul and Punjab from the Hindushahiya rajas who had formed a coalition to keep him from coming down into India. This was one episode in a long history of interaction between Central Asian Islam and Hindu South Asia that continues in Indo-Pak relations. 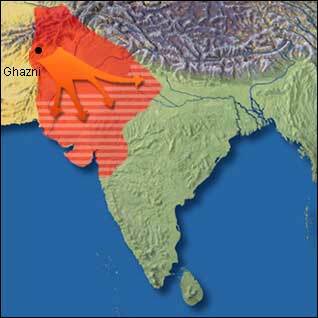 But geopolitically, the threat of the tribes beyond the Hindu Kush to the plains of Punjab is still salient in the struggle of urbane Punjabis against frontier Taliban today. 6. Although it probably wasn’t very important then, some things did happen in Europe. King Sweyn 1 of Denmark and his son Canute invaded England and briefly dethroned Ethelred (who thereby got the sobriquet “the Unready.” He fled for a while to Normandy, which was probably unwise. It may have suggested to the Normans that the king of England was weak and ripe for the plucking. In Ireland, in 1013 Mael Morda, King of Leinster, allies with the head of the Dublin Vikings Sigtrygg Silkbeard against Ireland’s High King, Brian mac Cennétig (Kennedy). Modern parallels? Well, tongue in cheek: Denmark is today light years beyond Britain in green energy, and if the Tories go on wavering on green policy, they will eventually be branded “Unready” by a British public that suffers from climate change. And, well, US politics has a Kennedy on Capitol Hill again, who probably is safe from the Republican silkbeards in 2014.